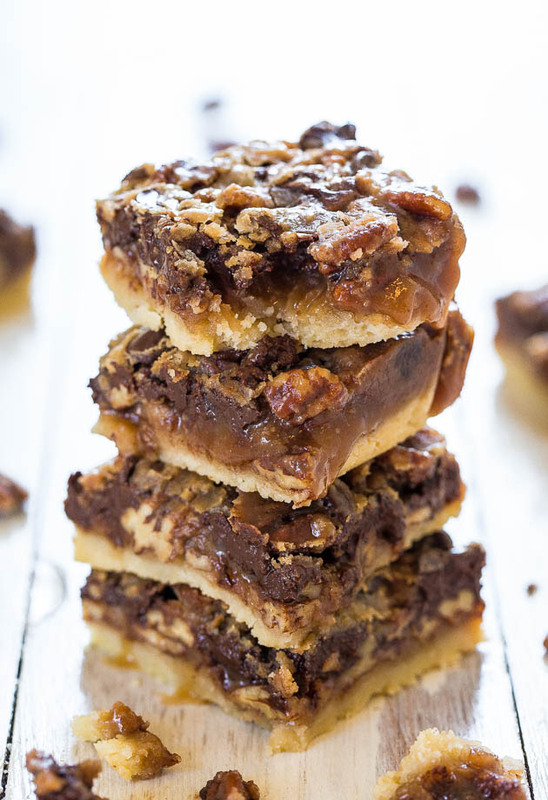 Fall is almost here, and what better way to welcome it than with these delicious caramel and chocolate pecan pie bars? Hungry yet? Check out the recipe! 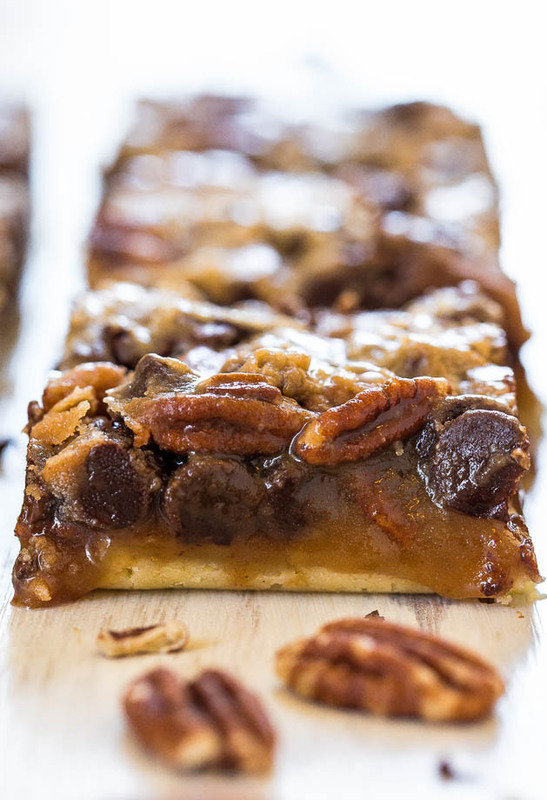 These caramel and chocolate pecan bars are so moist and delicious, we promise they’ll be gone in minutes! Sweet and with the perfect amount of crunch, these bars will set you right in the mood for fall! Preheat oven to 350 F and line a 8x8 inch baking pan with aluminum foil. Spray the foil with cooking spray and set aside. To make the crust, combine all the crust ingredients in a bowl and using a fork (or your hands), cut the butter into dry ingredients until evenly distributed and pea-sized lumps are formed. Put the mixture into the prepared pan and pack it down with a spatula. Create an even, flat crust layer. For the filling, evenly sprinkle the pecans onto the crust. Sprinkle the chocolate chips on top and set the pan aside. In a microwave-safe bowl, combine 1/2 cup of butter, whipping cream, and brown sugar. Heat on high for 1 minute, or until melted. Remove the bowl from the microwave and whisk mixture until smooth. Return bowl to the microwave and heat again for 1 minute on high. Remove the bowl and whisk again. Whisk in vanilla and salt. Pour the caramel sauce over the chocolate chips and pecans evenly. Place pan on a cookie sheet and bake for 30 minutes or until caramel is bubbling around the edges. Allow the bars to cool for at least 3 hours before slicing or serving. Bars can be kept at room temperature for 1 week, or frozen for up to 6 months. Photos and recipe: Averie Cooks. 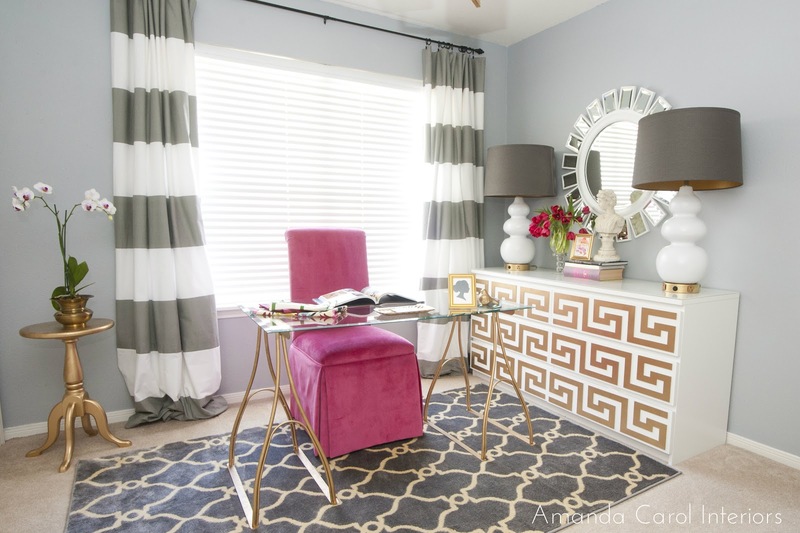 Make Your Ikea Furniture Look Stunning with Overlays!